Description: A20 - Who ever thought water fountains for schools would see the light of day. But it happened. Like the house fountains that make use of a fountain sphere as its main water ornament, so does this self contained water feature. It can be set up as an office water fountain or as a ball water feature at parks and outside museums. 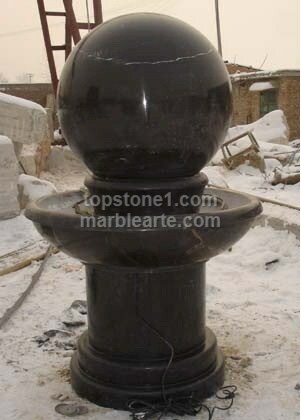 The amazing thing about this sphere fountain is that its indoor water features do not need a drastic change from a water feature that uses the same natural stone as an outdoor fountain.